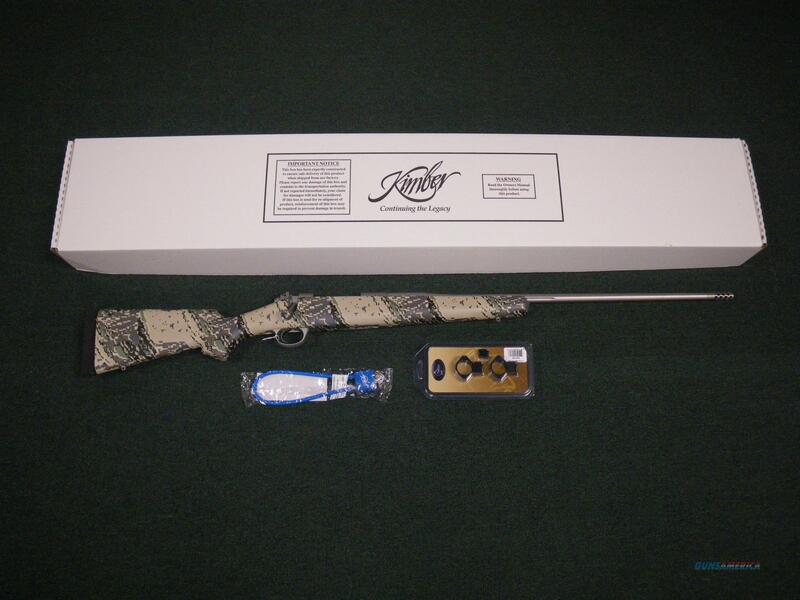 Description: You are buying a new Kimber 84M Mountain Ascent rifle in 6.5 Creedmoor with a 22" barrel. This is the lightest production bolt-action rifle available today weighting in at 4lbs 13oz. Comes with a fluted stainless steel barrel with a ported muzzle break and a digital camo pattern. Displayed images are stock photos. Any questions please feel free to ask (our phone number is in the additional information tab above).